← PARANORMAL, EH?/SKELETONS IN THE SWIMMIN’ HOLE CONTEST WINNER ANNOUNCED! DOWN ABOUT YOUR LIFE? 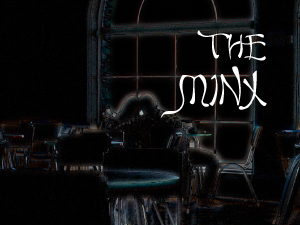 CHECK OUT “THE MINX” ON READ SHORT FICTION! Cassandra Dunn’s short story “The Minx” is up at Read Short Fiction, and if your winter blues aren’t fading fast enough, this piece might be just the right pick-me-up! What I love about this piece is its pervasive sense of sadness. The speaker laments her own life, but is realistic about how her choices got her to that life–yet there’s a piece of her that wishes she were someone else. And really, who hasn’t done that at least once or twice? Well, the end might surprise you. Posted on March 31, 2011, in Read Short Fiction and tagged Cassandra Dunn, Depression, Read Short Fiction, Short Stories. Bookmark the permalink. Leave a comment.